A top Hamas official on Thursday urged the Palestinians to turn Friday into a “day of blood” and riots against Israeli security forces in protest against President Donald Trump’s recognition of Jerusalem as the capital of Israel, Israel National News reported, citing additional sources. Yahya Sinwar made the call during a televised address on Hamas’s Al-Aqsa TV, according to the report. In his speech he called on Arabs living in the West Bank to arrive at known friction points with IDF soldiers on Friday. Sinwar read a list of locations where he hoped the riots would erupt. 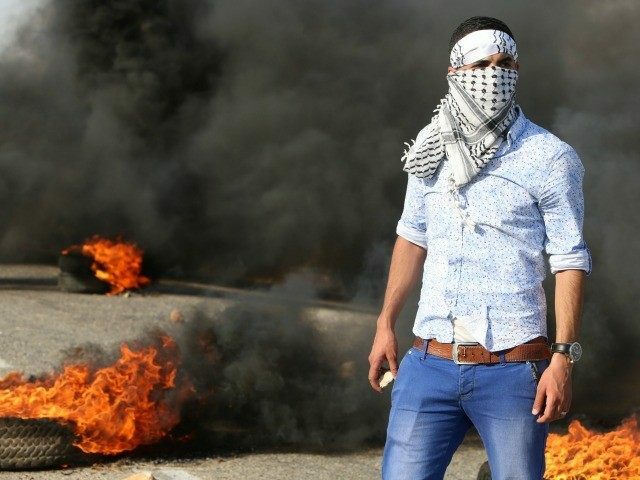 “I call on you to turn Friday, tomorrow, into a day of rage, and go out to the points of friction with the occupation forces and the settlers,” Sinwar said. “You must demand from your brothers who are in the West Bank, Jerusalem, Gaza – wherever there are Palestinians, Arabs and the free world, to rise up and turn tomorrow into a bloody day of rage, so that we will bring down Trump’s stupid decision,” added Sinwar. However, reports on Friday afternoon said less than one thousand Palestinians were clashing with security forces across all West Bank flash points. Two Palestinian protesters at the Gaza Strip barrier were reportedly killed during violent riots in Friday. As in similar cases over the past few weeks, attempts by Palestinian terror groups to foment anger and manufacture violence mostly failed. The protests were so minor they did not even make top headlines on Friday afternoon on the country’s top news websites.